It seems like the reality I was talking about a couple of weeks ago has set in a little earlier than I would’ve liked. Especially for our local market. 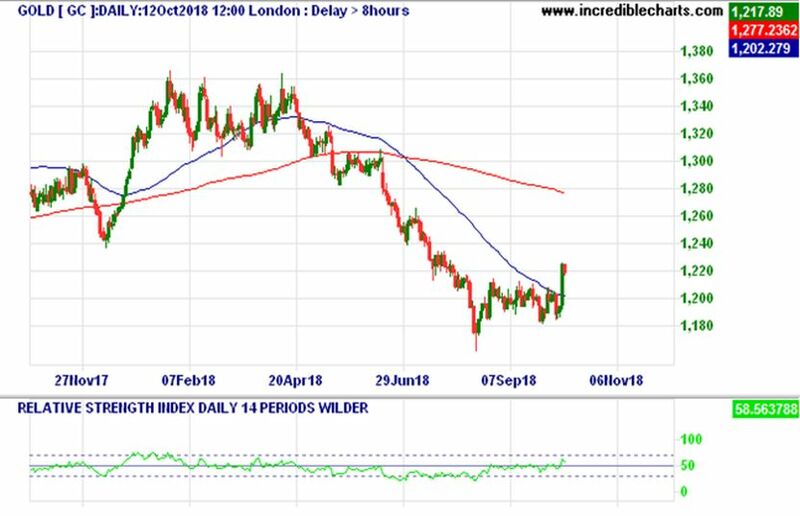 The spike above the 3.10 level with the US 10 Year Treasury Note was a key indicator and a level too high for equity markets to handle. The US markets needed a correction as it was overheated however, our local market needs a correction like a hole in the head. If we come off another 10% it will be over 20% to get back to pre-GFC levels. At that level it could be up to 15 years before we are back to pre-GFC levels. Have some pity for those retirees that were convinced to put 100% of their equity exposure into Australian Banks to provide their income. 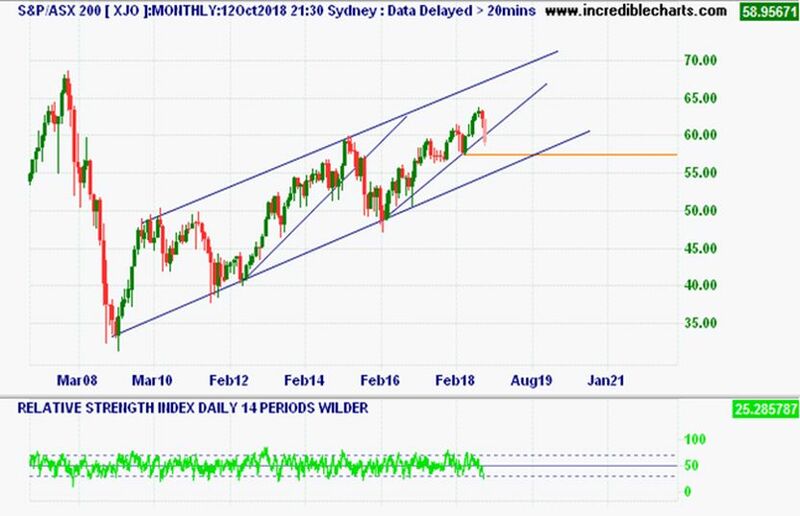 If you look at the ASX 200 monthly chart from a long-term perspective, then we are just hanging on to the long-term uptrend. A drop below the 5800 level and we are looking at further falls to the 5500 level before any sort of technical support would kick in. 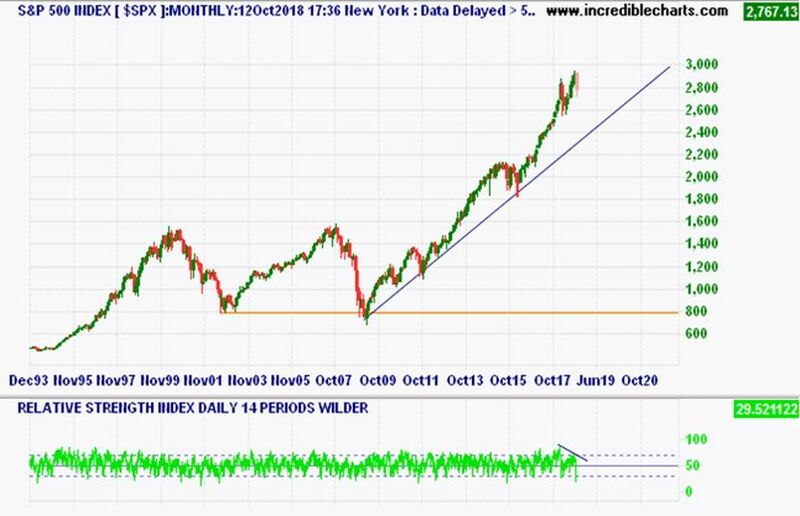 On the contrary the S&P 500 could come off a further 10% and still be in the long-term uptrend (see monthly chart) and still well above pre GFC highs. Our politicians seem to have squandered the mining boom benefits in transforming our economy by placing policy initiatives into a sector (housing) that is unsustainable and effectively a Ponzi scheme. Further drops in asset values in this sector and we are in serious trouble. Could be more like two decades for our market to recover to pre-GFC highs. 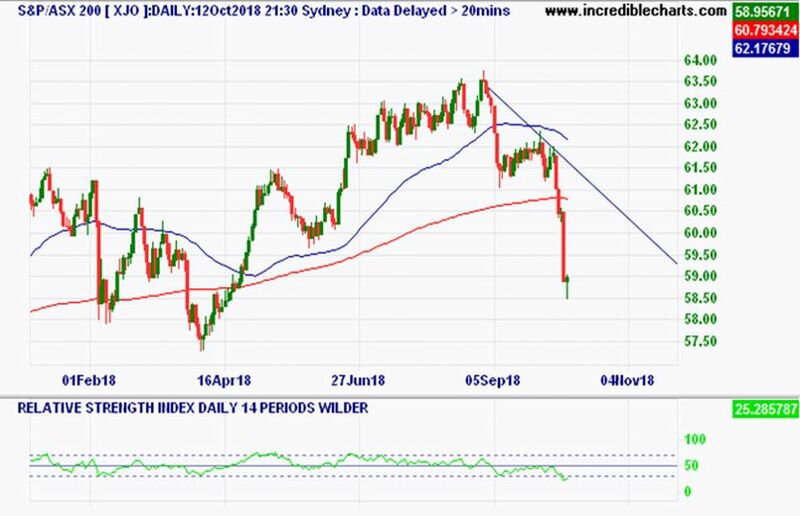 Back to the technical side of things and if you look at our daily ASX 200 chart it has dropped below the 200-day moving average in a very significant way. This would suggest that this short term move into a down trend will persist into a medium term down trend. For it to be otherwise our market would have to climb back above 6200 to form a higher peak. This I cannot see in the near to medium term with a peak lower more likely indicating a medium term down trend. The other issue is that the US market I believe has now reached its highs and I don’t think it will regain those levels again in the near to medium term. Not with rates going higher which will happen unless Trump can pressure the Fed to hold. At least he will have someone to blame as nothing would ever be his fault. Apparently, tariffs are not inflationary at all and tax cuts don’t add to your widening budget deficits which would reduce your credit rating and further increase rates. I suppose he is well experienced in bankrupting companies and now he is doing his best to bankrupt a nation. 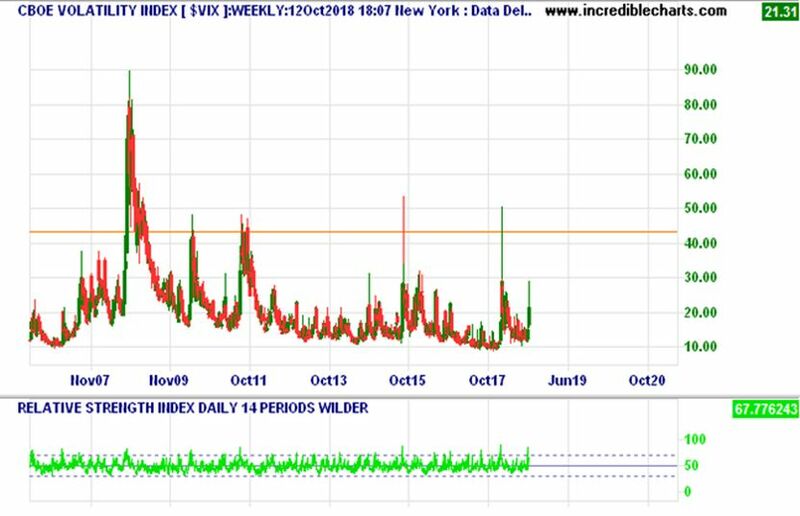 Not much else to be said really, besides reiterating what I touched on a couple of weeks ago and that is to prepare for a bumpy ride (see CBOE Volatility). Investors who have Gold in their portfolio had a good week and is now above the 200-day moving average. Enjoy the week ahead as it should be a slight recovery week whilst the dust settles.